Home » Albert Hall Museum » Amer » Birla temple » Dana Pani » Diwan-i-aam » Diwan-i-Khaas » Galta Monkey » Hawa mahal » Jaigarh » Jaipur » jaivana » Jantar Mantar » Kotputli Dance » Moti Dungri » Mubarak Mahal » Nahargarh » Sheesh mahal » Jaipur- City of Forts and Palaces! 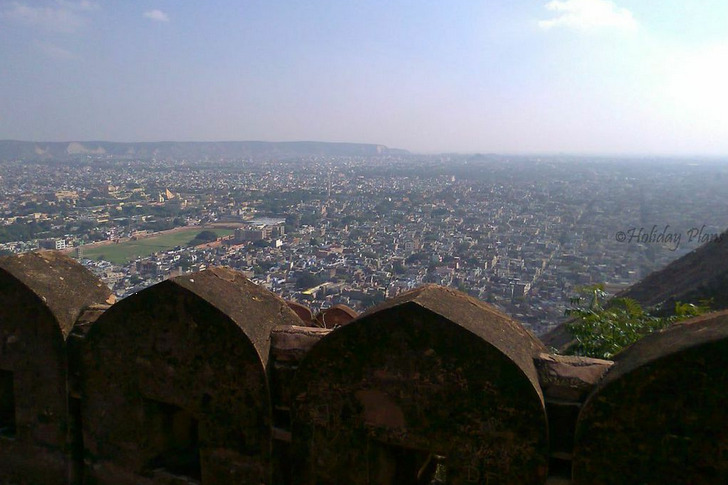 Jaipur- City of Forts and Palaces! Last night’s visit to Chokhi Dhani was very much still in my mind -the drive through NH-8 and then witnessing the ethnic and traditional Rajasthani Village was an awesome experience. 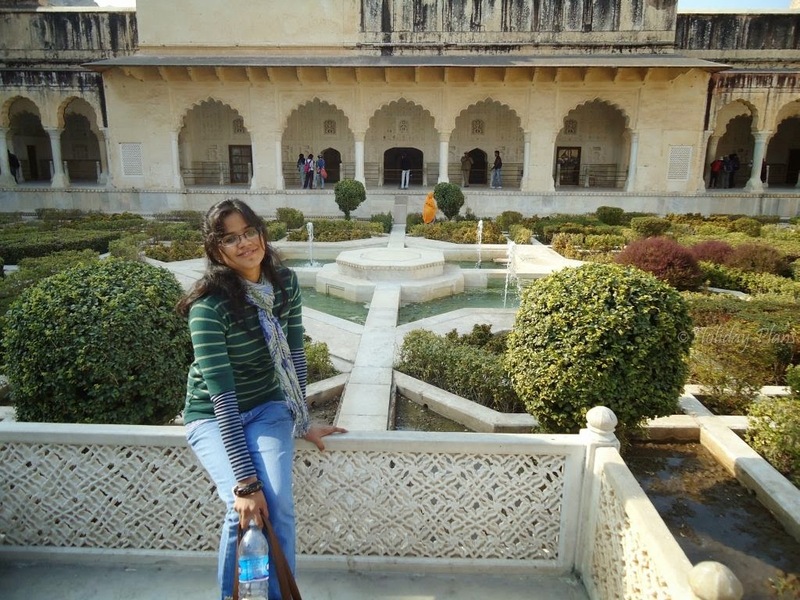 I had one entire day ahead of me in Jaipur and there was lot to be explored. 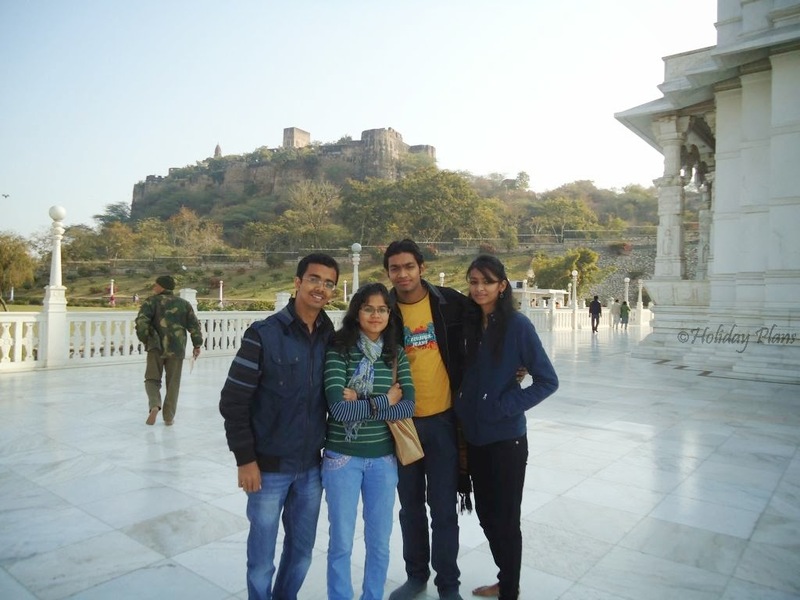 So, we wasted no time and started off right away to explore this city of forts and palaces! We started our day on a religious note by offering our prayers to Lord Vishnu. We headed straight to the Birla Temple or the Laxmi Narayan Temple. 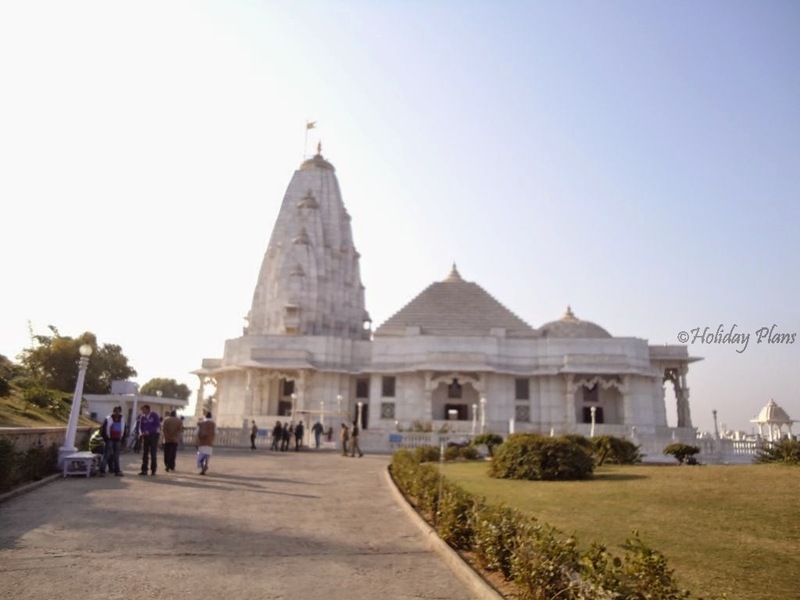 It is one of the several Birla Temples located across the country. As the name suggests, the temple is devoted to Lord Vishnu(Narayan) and his consort Lakshmi (the goddess of wealth). The entire temple is built with beautiful white marbles which is mesmerizing to the eyes. It is surrounded by the lush green gardens and is open from 5 AM- 9 PM. It looks stunning when lit in the night! Moti dungri Fort can be seen in the background from this temple. 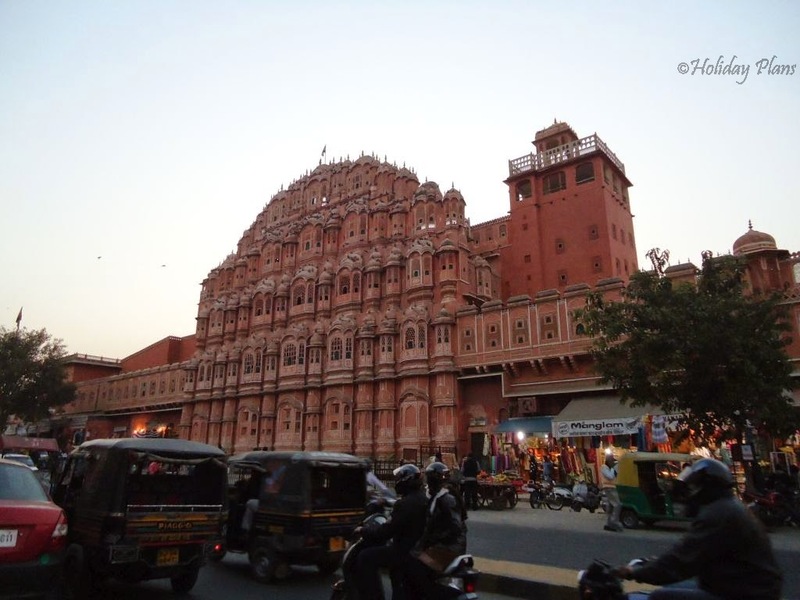 Our next destinations were the City Palace, Hawa Mahal and Jantar Mantar. All three places are located next to each other and form a complex. We started with Jantar Mantar first. 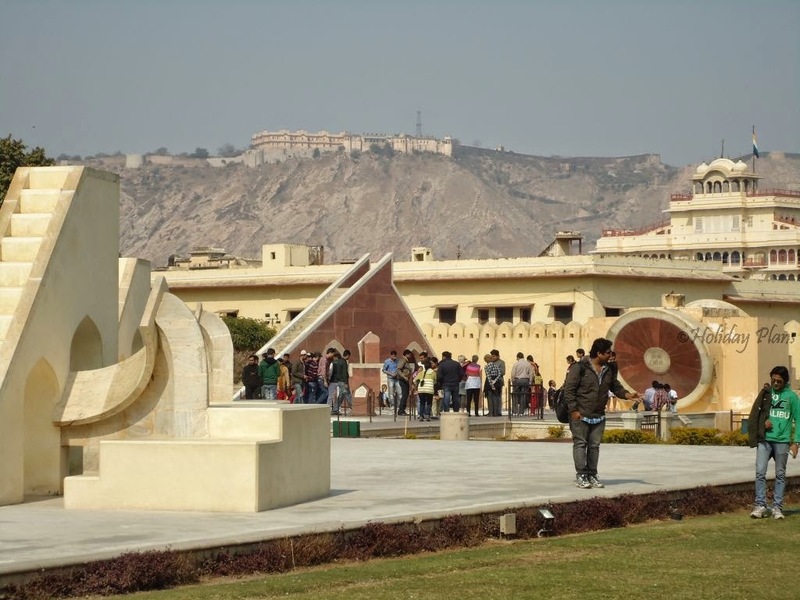 Jantar Mantar is an observatory built by Sawai Jai Singh , the Rajput ruler. Jantar means “instrument” and Mantar means “calculation or formula”, hence literally meaning “Calculation Instrument”. A total of 5 different observatories were built by Sawa Jai singh and this one is the largest and best preserved of these. This place is open from 9 am till 4:30 pm and Rs. 40 per person is the entry fees. There were numerous instruments which were used to predict time and tell what day of the year it is. Post playing with these instruments ,we headed for the City Palace. It is the main palace situated in the capital of Rajasthan. It was once the seat of the Maharaja of Jaipur. It has been very delicately preserved and to this date you can sense the “regal” feel that this place is bestowed with. 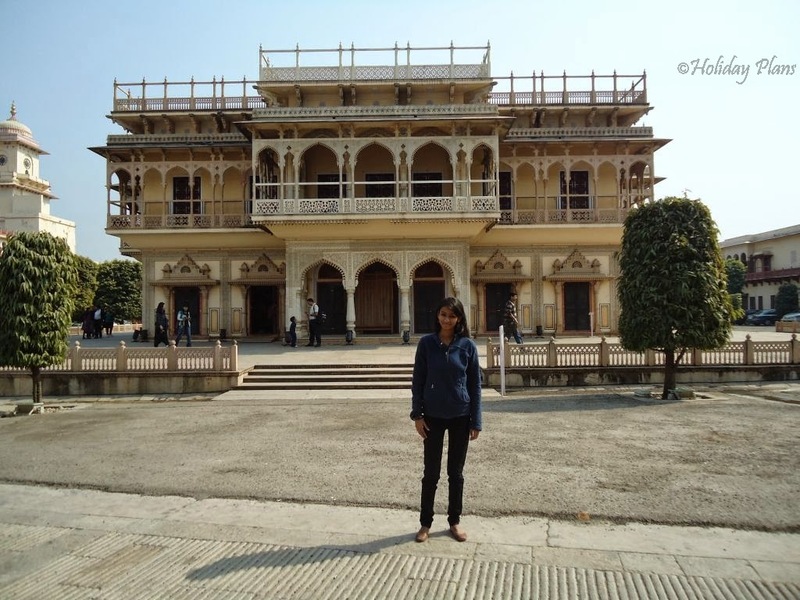 Chandra Mahal , Mubarak Palace , Diwan –I – Khas , Diwan –I – Aam ( or Sabha Niwas) and many other complex lies within the palace. You can easily see various kinds of things those were used by the royal family in there times here. 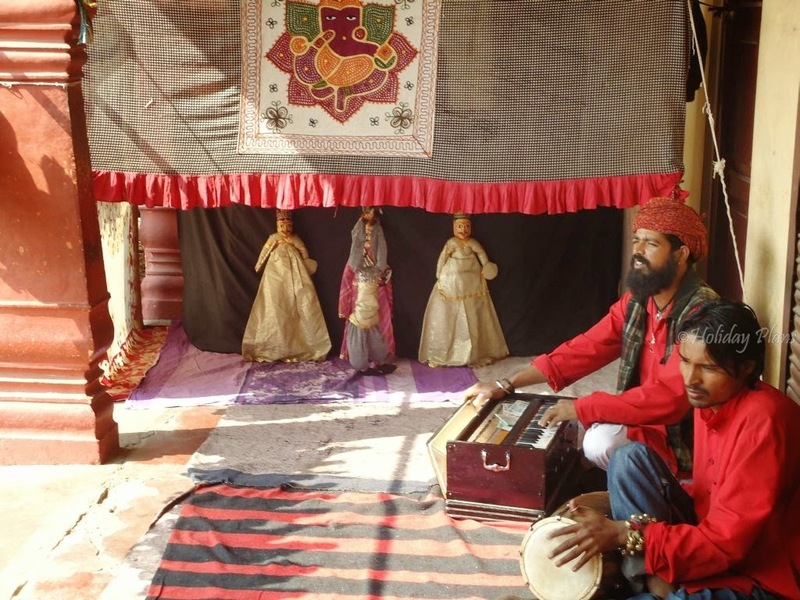 There was a group of people entertaining with the famous “Kotputli dance”. 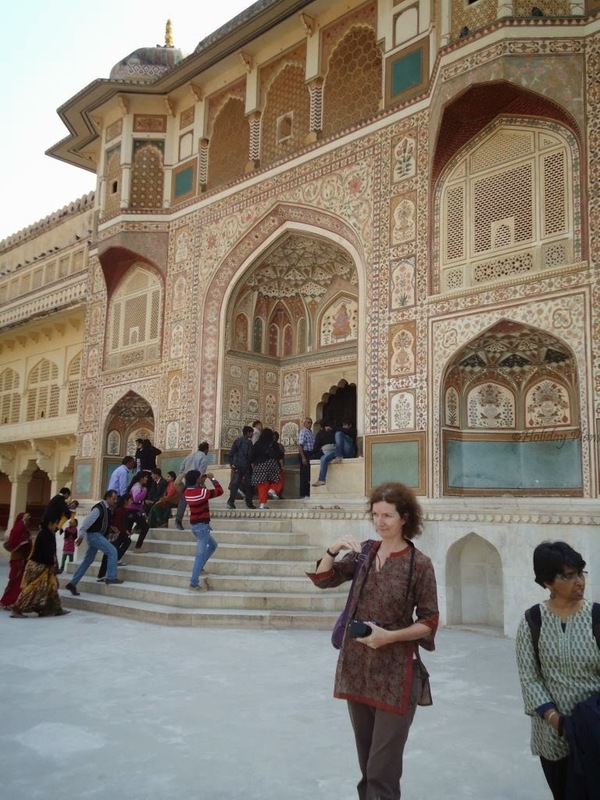 By the time we ended the tour of City palace, our tummies started rumbling and we headed towards the "Dana Pani" – a very famous restaurant in Jaipur to feed ourselves sumptuously. Food served in this restaurant is just wow! We were left with another 2-3 hours to explore of what is left in Jaipur. 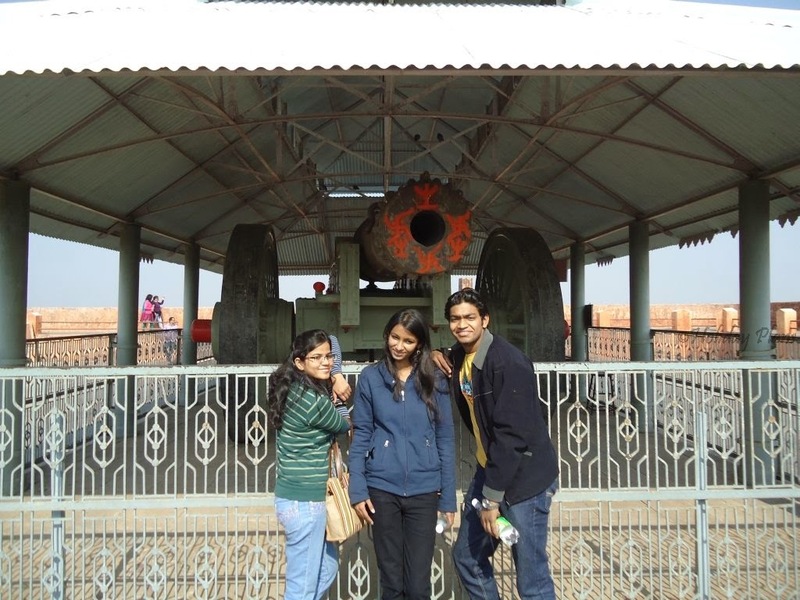 Our next destination was Jaigarh Fort. It is built at a hill and has very long fortified walls. The route to this fort is a bit hilly and loopy , and I was amazed to see this kind of route in Jaipur ( I hadn’t expected a hilly route in Jaipur!). On our way to Jaigarh fort we visited and gazed upon the Hawa Mahal which we left out because of prolonged lunch we had taken at Dana Pani. 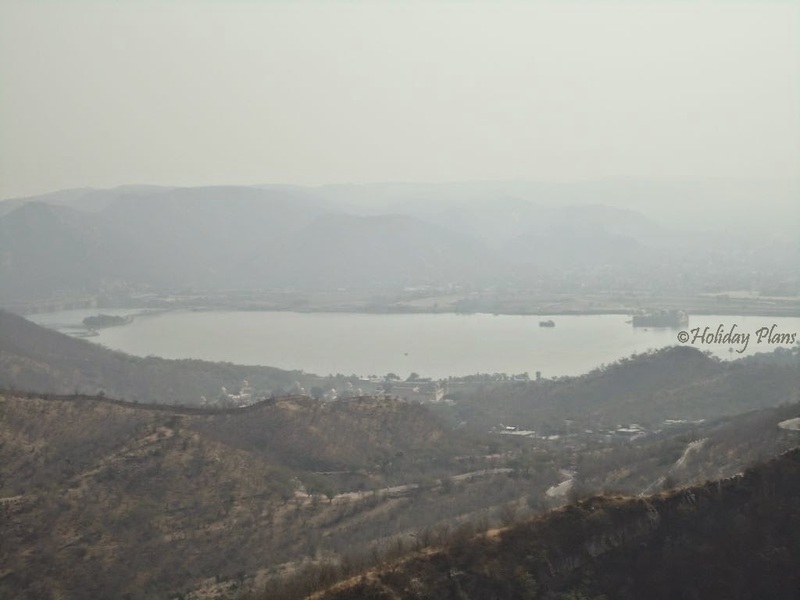 Only when we reached the fort we came to know that it is situated on “Cheel ka Teela” ( Hill of Eagles) in the Aravalli Range and also that it houses the World’s largest Canon on wheels - Jaivana! Fort is open from 9:30 am till 4:30 pm and entry fee stands at Rs. 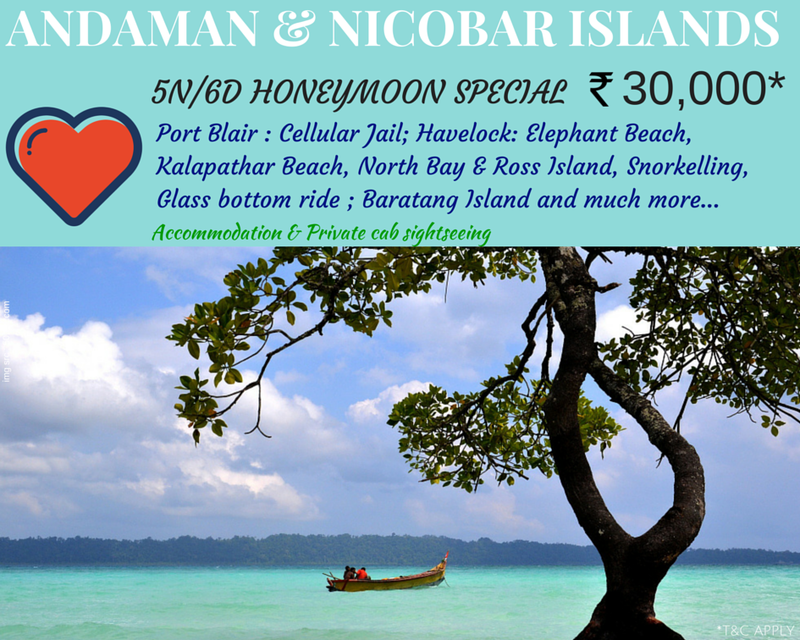 15 per person for Indians. The fort is fortified with thick walls of red sandstone. The car can be easily taken upto the point where Jaivana is kept. Also there are numerous mystery paths which lead to somewhere unknown. On asking one of the locals they reveal that these has been used as pathway to the “Kaalkotharis” (dark prisons). 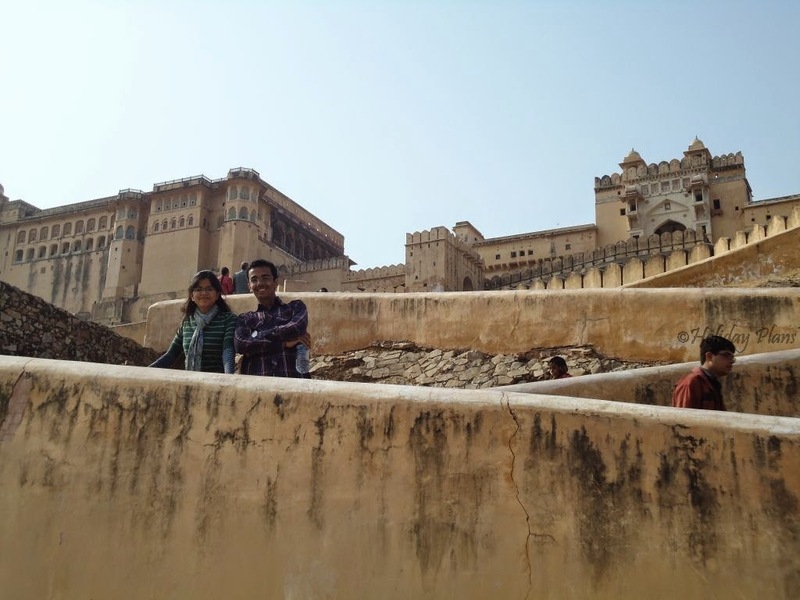 Post the Jaigarh fort, we left for the Amber Fort or Amer Fort. 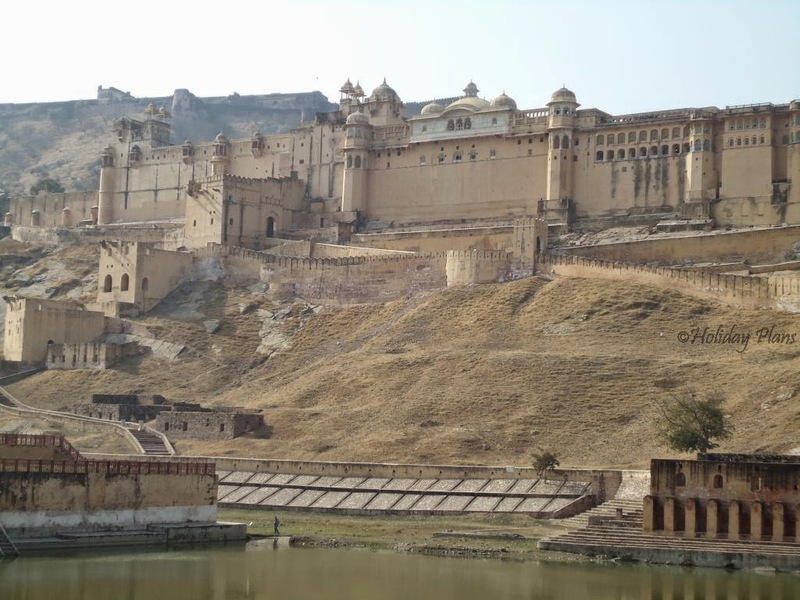 It is one of the best forts that is situated in Jaipur. 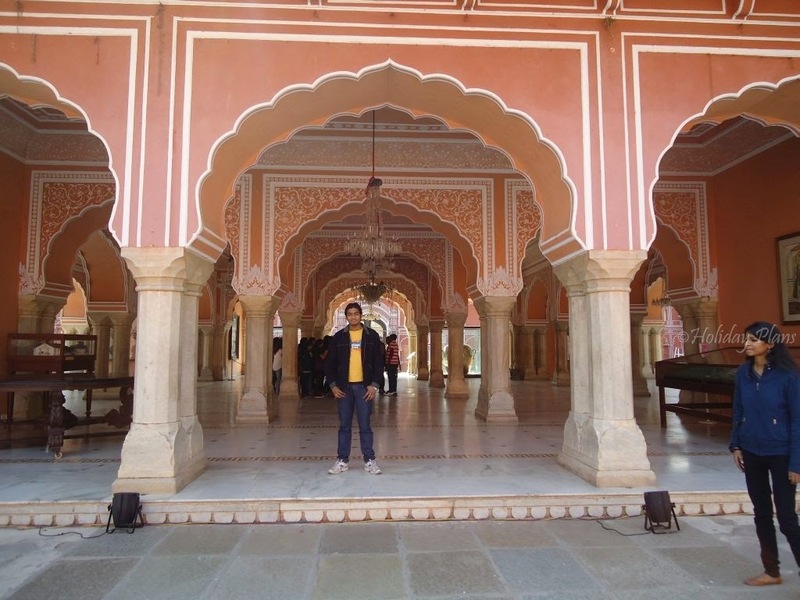 It was built by Raja Man Singh and dates back to the 17th century. 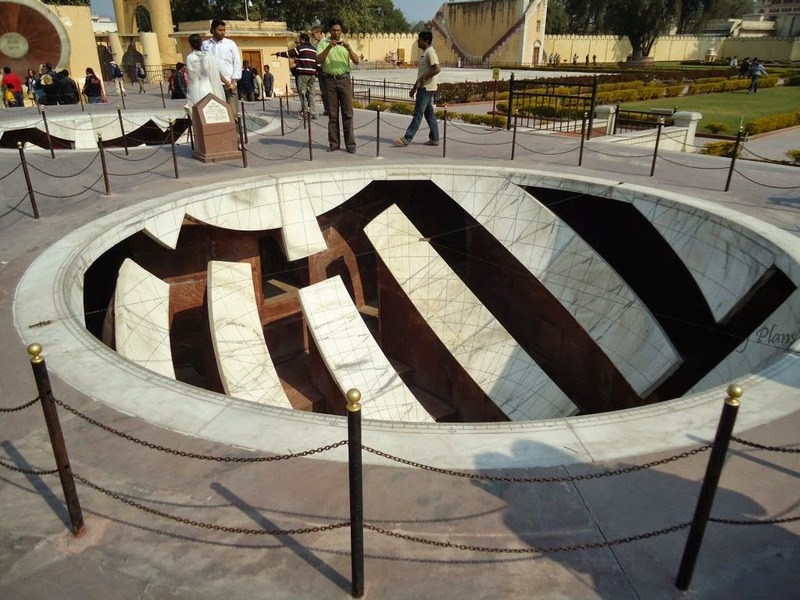 It is more known for its artistic style in which Hindu elements have been designed. It is also situated on the same Cheel ka Teela hill as Jaigarh Fort. 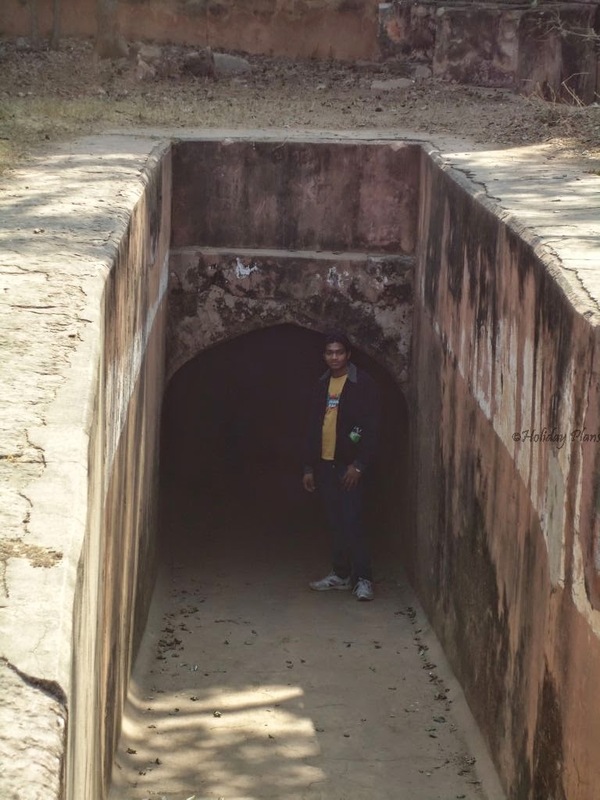 The two forts are connected secretly with each other so that in case of war the members of royal family were shifted to the Jaigarh Fort. Front view of the Fort from the road is in itself majestic. The serpentine staircase leading to the fort is one of the unique features of this fort. The color combination of the fort made me remember the Golden Fort of Jaisalmer. 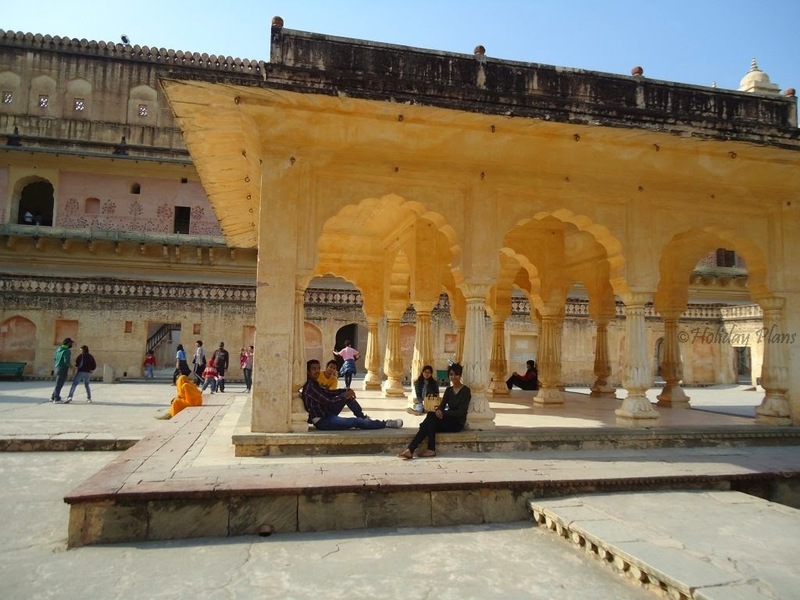 This fort also consists of Diwan-i-aam , Diwan –i–khaas along with Sheesh Mahal and a very beautiful garden laid out in between. By the time we finished the tour of this fort we were completely exhausted. Full day has been spent well in exploring Jaipur and I didn't regret even a bit of it. Unlike the first day we had so much to see and explore and experience. Although there are few places like Galta Monkey temple , Nahargarh Fort (where the famous scenes from Rang De Basanti were shot) , Albert Hall Museum etc on which we missed out. But then I am sure the love for this place will bring me here once again to complete my list!